I was just quietly figuring out how to do this, and here you are, ahead of me again. Looks good. Will try it out in the weekend. was accepted. Must I create that group? I think I remember something like this from before, but can&apos;t find the fix. produces an (only 11kb) bootstrap.zip which will not unzip, giving an error instead. It seems that bootstrap.zip is now available on http://getbootstrap.com/2,3.2/?? 15. sudo mv bootstrap/css . 16. sudo mv bootstrap/js . each with what appear to be the correct files for the sub-directory. So, what should be done? Rename bootstrap? btw, I did edit sqlite3.lsp, adding "/usr/lib/libcrypto.so.1.0.0", which is what I found in that folder, to files-lst. There is still a warning "cannot find crypto library". I am using Crunchbang Linux. The directory structure is Debian all the way, so I haven&apos;t yet found any differences between it and Ubuntu. I&apos;m going through these instructions and fixing them up a little bit as I run through an install of Rockets on a fresh Ubuntu 12.04 LTS install. For some reason or other, I found that the filename "/usr/lib/x86_64-linux-gnu/libcrypto.so.1.0.0" put in the crypto.lsp module did not stick when I saved it. Also I removed the SymLink named libcrypto.so, since it was pointing to a file that was not there. 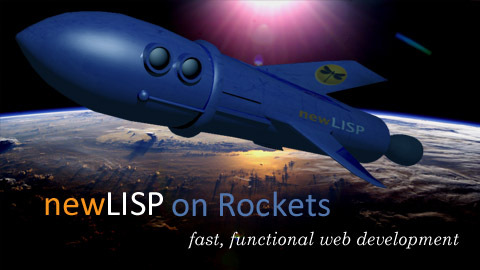 Since correcting that, setup-rockets.lisp has worked fine, creating the database ok, and with no error message. Great! Glad it worked out. It&apos;s always an adventure installing things on a brand new system. Hope you&apos;re having fun! As a matter of interest ... why Ubuntu 12.04 LTS? I&apos;m now am dual-booting Ubuntu 13.10 next to Crunchbang. There were problems with 13.04,which eventually crashed, so I am wondering if they were sorted out by now - will be running through your site creating steps on Ubuntu as well. I tend to choose the older "Long-term support" versions of Ubuntu because I don&apos;t like having to change and upgrade things all the time, and it&apos;s less likely to break or become unsupported with security updates. Sure, it&apos;s a version behind but typically the new version contains a bunch of things that Rockets doesn&apos;t need. Does 12.04 LTS do Unity? I can&apos;t remember when Unity was released. I think Unity launched with Ubuntu 11. I don&apos;t use it, though-- my Linux desktop at home runs a different window manager and the servers are all run without a GUI. Ok. Ubuntu Server Edition. I&apos;m used to Unity now, though it helps that it now runs alongside Crunchbang on a SSD. It was a bit slow before that. Crunchbang runs like a bat out of hell on the SSD. I followed these new instructions and got a brand new replica of your wonderful blog up and running without any problems. This is on Crunchbang Linux. Thanks billions for this. I am pretty tired now, so will look at the source code tomorrow to see what&apos;s happening here. Oh, the admin page is not actually working code-- it&apos;s sort of something I was doing and then abandoned half-way through. It assumes the existence of a git repository inside /var/www in order to handle versioning. But it doesn&apos;t do anything with it yet because I haven&apos;t written that code. It&apos;s actually supposed to be part of a hosted version of Rockets where I would host multiple sites and people would upload new pages using their web browser, so they wouldn&apos;t have to set up a server. So basically, comment out that code if you want the Admin page to work, but that will leave the Admin page as a stub that doesn&apos;t actually do much other than show a user list. Oh wait, it doesn&apos;t do that either. :) It just shows a list of pages in the git repository. It&apos;s the Edit Profile page that shows the user list, assuming you&apos;re an admin user. Anyway, I&apos;m so happy you got it working, xerxes! I&apos;ll slowly work through it, learning and personalising it, and find somewhere to host it. I have downloaded and installed all requirements for Rockets. I am running a version of Debian w/ Apache2 and sqlite3. Usually if you can&apos;t get Apache to execute .cgi scripts (it just shows the text of the page code instead) this means that some other configuration file is overriding the one that you edited. Apache uses a whole bunch of configuration files depending on what distribution of Linux you are using. Can you tell me what distro you have? Oh, and no, you don&apos;t need to run a nL server. Apache works fine. Thank you for the kind further instructions! I tried your suggestions but it still doesnt work for me. My (Debian) Linux Mint said I had to add "+" symbols before everything after Options. I did that and was able to restart Apache2 successfully. After trying his Apache config file additions, I got an internal server error. No idea. I might be in over my head w/ Rockets. What about just using a nL server w/ Rockets? and forget Apache? What you need to do now is go into your Apache error logs and figure out what the problem is. Apache can be annoying to get working, but once it&apos;s working it is pretty reliable, and it&apos;s worthwhile learning the ins-and-outs of running it. I made the changes you suggested above and it worked great! Thank you! inside of /var/www where the script is, with no error. Any thought on what might be causing me not to register a user on the site? Sorry I didn&apos;t see your message earlier! The error you mentioned is because the page rockets-register.lsp is trying to load a file that I haven&apos;t included in the GitHub repository because it&apos;s the file that handles the picture captcha, and I worried that if I included it, robots would break my captcha and it wouldn&apos;t work any more. The file is called "rocket-list.lisp" and it&apos;s just a list of file names, sorted into rocket pictures and non-rocket pictures. This will disable the display of the pictures in the registration page. So that the confirmation page no longer checks to see if you&apos;ve succeeded at the picture captcha. Thank you for registering on Sitename! You are now signed in. But it also shows the form for logging in, meaning I am not logged in. Warning! Username or password not found. Please try signing in again. Forgot your password? If you aren&apos;t getting logged in, it means the cookie isn&apos;t being set on your end. But because you also can&apos;t log in via the normal way, it&apos;s probably not a cookie problem, but that your information isn&apos;t being added to the database. To set the file to writeable, Apache must be the owner of the /var/www directory AND the database file. "www-data" is the name of the Apache user on Ubuntu. On other Linux systems it may be called "apache" instead. "This is a test post to make sure the blog code works from scratch. After you have added a new post yourself, you can delete this one." Sorry, I found where to post a new post, in the Forum! Thanks for all this, Rocketman! I&apos;m so happy you&apos;re up and running and having fun, jojo! How does one set up the soft link to ensure newLISP works after installation? On Ubuntu 16.04. I have Oracle Java JRE 8 installed. If you&apos;re on Ubuntu 16.04 I would use the one-button installer to set up the site. If it doesn&apos;t work, let me know what problems you are having. I will be testing it myself when I get Rockets 2.0 complete, so it&apos;s possible it doesn&apos;t work perfectly right now. Does that mean there are no posts in the database? Hey Rocket Man ... I tried adding a post directly to the DB, via SqliteMan. The query worked, but it did not fix the loading of the site. So I wiped and reinstalled. There is still a problem. I create 2 posts as admin, then checked the DB, only to find that posts are not being added. Hope you can direct me to a fix. Typically if you can&apos;t post it&apos;s because the database isn&apos;t writeable by your web server. You can type something like "sudo chown www-data *.db" for Ubuntu with Apache 2.x. © 2019 Rocket Man. Rendered in 31 milliseconds. Used 137 KB of memory, 112 KB for Lisp Cells. Rockets version: 1.902.